There is no progress without experimentation, this is true in poetry as well. Poets seek to alter perception and to push the boundaries of possibility, through the skillful manipulation of language. To form new techniques, and explore new possibilities, experimentation is necessary; but of course, most experiments fail. To be experimental, then, is to accept and celebrate the necessity of failure. It’s simple enough to retain and continue a tradition, to adhere to a proven formula for success. All art forms have these formal traditions, and in fact most of the structures in our lives have them: expectations, assumptions, the obvious. There is charisma in taking risks, and conversely, something that takes no risks can become a soulless empty product. Still, a failure that happens through taking a risk is more interesting, more passionate, more beautiful, than the successful execution of something that we all knew would succeed. Your home-made moonshine-powered ornithopter shaking itself to pieces the second you try to turn it on is infinitely more interesting than successfully starting your mass-produced car on the first try. The trouble, of course, is that we live in a culture that emphasizes success over all other things, that focuses on goals and outcomes, rather than on processes—in this context the car is superior to the ornithopter, because all that matters is getting where you need to go. In our day-to-day life, of course, failure is punished brutally, and while our culture fetishizes “risk-takers” we often lose sight of the fact that risk taking can be extremely costly practice- only available to the most privileged people. Poetry, however, is a relatively low-cost activity, one that makes experimentation, and failure, more widely available. Even in poetry, though, there is still a doctrine of success. Success could mean publication in a prestigious journal, a teaching post, or just thunderous applause, and these things can often be accomplished through using tried techniques, largely through observing what has worked before, and mimicking it- there is an already-blazed trail to follow. This is still be extremely difficult and rewarding work, but there are established steps to follow to get a desired expected outcome. In this way, poetry can become a tool, yet another stick for fishing out termites, another skill to help us survive. We can write poems to impress people, to make them fall in love with us, to grieve, to process trauma—and these are, mostly, perfectly good uses for poetry. Still, for those who make poetry their life’s work, the discipline demands we keep going deeper. Poetry is one of the few things that gets more difficult as the practitioner gets better. So, to keep progressing, to keep moving forward, we need to accept, and even celebrate, the inevitable failure that comes with experimentation. Learning to accept failure, however, can be incredibly difficult, especially for those of us who grew up in a culture that regards any failure as shameful. A poem is a hand-made thing, and one of the reasons why we may love a poem is that we can see the imperfections in it: the reflections of the failures and the weaknesses of the poem’s creator. In this way, poetry can stand as a counterpoint to the aggressive doctrines of industrial culture- it can challenge the insistence that our creations only exist to perform a task efficiently, and without necessary complication. 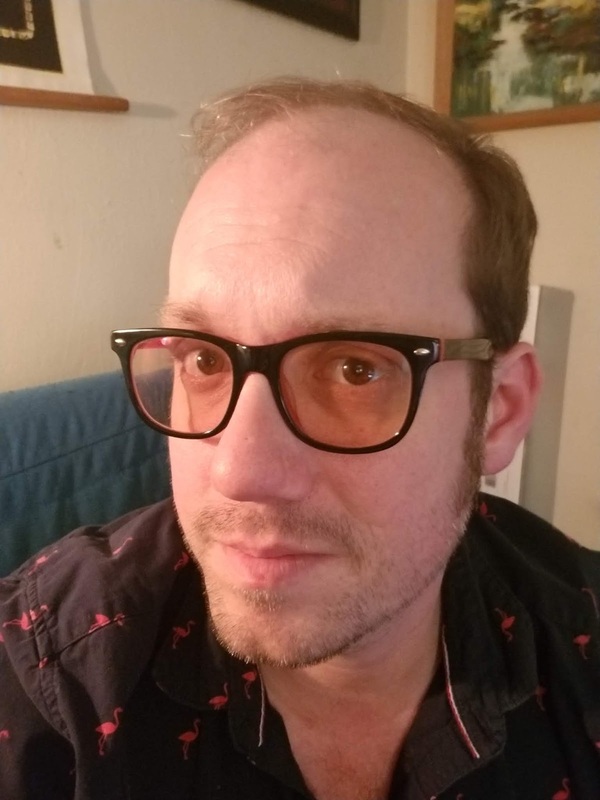 Cole Bellamy is a writer and educator from Tampa, Florida. 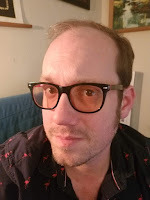 He is the author of three collections of poetry: Lancelot’s Blues, The Mermaid Postcard, and American Museum, and his work has been featured in The Louisville Review, Penumbra, Defenestration, and most recently in Muse/A. He teaches creative writing at the Morean Arts Center, and blogs about Florida history, nature, and culture at www.FloridaIsAVerb.com.